Travelling around winter South Korea recently I was astonished at how perfectly Niki de Saint Phalle’s eponymous fragrance worked in almost every situation. I took a 30ml spray bottle and went through more than half of it on a ten day journey. 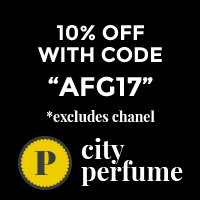 There is a soft furriness to its green chypre that makes it more cosy than CHANEL No 19 and less fancy lady than Robert Piguet’s Futur, in the cold weather. You may notice on APJ I often write about fragrances being wearable and unchallenging, on many blogs that would be a derisive pointer to bland uninteresting fragrance but from my point of view a fragrance must be wearable in my life. Sure I have a few that I spritz at home for my own freak flag enjoyment but when I venture forth I want to wear my scents as a comfortable cloak not ammunition. Sadly I am finding it harder and harder to track down any of the spritz bottles of Niki de Saint Phalle and am kicking myself for not buying a dozen of them when I noticed they were getting harder to find. GRRRRR. It will be decanting into atomisers for the rest of my life. Oh well, not really a hardship. So Niki de Saint Phalle is a chypre. Full of softly furry green-ness. To be honest I can’t pick most of the notes. Artemisia, galbanum, carnation, leather and oakmoss are the things I notice but everything else seems to sit in a background chorus. Once upon a time though the note list used to include tagetes (marigolds) now THEM I can smell and a light salt coating. Dry and austere it’s amazing how many moments it’s perfect for. Currently I’m sitting in my office and it’s a 41C day, Niki de saint Phalle cuts through the humidity and takes me to a cool dry thicket near a stream. Cool and fecund, I can smell the earth, greenery, woodland creatures or birds must have a nest nearby because the soft furry, powdery musk of creature babies is here and the smell of tree made shade. For real luxury grab the Shower Gel too, it makes the most unbelievably gorgeous bubble baths. Then when you spritz there’s already a soft layer of Niki de saint Phalle to layer over. Five years ago I wrote about Niki de Saint Phalle here at APJ, and have written of it elsewhere. It’s a staple around here. Do you have a go-to, fits anywhere scent? Maybe one that’s getting harder to find? Niki de Saint Phalle has been a go to for years around here. I think it is the galbanum that has me totally hooked. About five years ago I went Niki crazy and started collecting her vintage jewelry, scarves etc. I recently parted with all but one pin and have wondered why?…I do have a pretty good supply of the fragrance remaining though. Maybe someday I will visit the museum. Great review as always. Great to see you. are you well? I can SO imagine you rocking Niki de Saint Phalle. You had her stuff? Lucky you. Yes, I get that you sometimes have to cull and you’ll always have the memory of ownership. Every time I see an atomiser bottle I compulsively buy it. There are quite a few here but in my defence I go through quite a lot of it because I like the first hour the best and continually refresh. A museum visit would be amazing. Lucky you. Bought in a store, I’ve never ever seen it in one. Yeah, best punch in the face money can buy. I like the phrase “like a comfortable cloak, not ammunition” and I agree with you. I personally rarely have the need to shock somebody, so I don’t go for “shocking” scents. I’m happy when I smell my own perfume all the time and when I get compliments but to enjoy it myself is my highest priority. To me Feminite du Bois (former Shiseido, now SL) is such a perfume. It has depth, intensity and is absolutely not aggressive. It can be worn in all climates and situations. At Serge Lutens last year they let me smell 3 different Feminite du Bois eras. The changes were interesting and I wish I’d taken notes because the minute eludes me. Portia, I like the fact that you often review oldies but goodies, not just the latest release this week. Thanks. I write as I wear. Were you ever a Niki de Saint Phalle wearer? Yes, I used to wear it quite a bit. Now there are so any things to try … you know how it goes. My mom wore this! I totally remember this from growing up. She had the pure parfum! I miss it! How lucky for your Mum Jake, did it come in the snake bottle? I haven’t tried this perfume though from the notes list I would probably like it. Maybe it’s for the best – reading how hard it is to track it nowadays? Yes, I bet you would like Niki de Saint Phalle. Does feeling comfortable in all your fragrances make the choice extra hard each day? Not really. I could wear one of 15-20 perfumes on any given day, so I just look at them (or think) and decide, which one feels “more right” on the particular day.